Being successful in all college or university tasks is a dream rather than reality. Well, this is what others think. We at WriteMyEssays.com know that this dream has all chances to come true. Every time you need to complete a PowerPoint presentation but lack time, address us and timely and trustworthy support is guaranteed! After you enjoy free features, benefit from correct formatting and style, make use of originality, you will want to get back to us when a new project arrives. We have 398 active freelancers ready to work on your assignment and deliver expected results. Not all of them originate from English-speaking countries. Today, we have penmen from the UK, the USA, Canada and Australia, lands of Europe and Asia. In fact, the origin is not what we pay here attention to. When reading an application letter and checking an online test, we evaluate the knowledge of the language, citation styles, and a good understanding of a subject. If you ask the company to assign a native speaker only, get ready to pay an extra fee. How to choose a specific creator? Click on the I-want-a-specific-writer option offered in your order form. There you will see a drop-down list. Indicate a person you want to be assigned to your task. The team of WriteMyEssays.com includes males and females with different academic degrees able to provide presentations before the deadline (we succeed in finishing a presentation before a final term in 95% of cases). By now, the staff members are writers with Master’s and Ph.D. degrees, who help students with their academic writing, whatever the topics are. Current score in the field of study. Can you talk to a freelancer? We offer this option as well. Send personal messages to him/her using your Personal Order page. When a new message is received, you get an email notification, so make sure your box is checked regularly. It is not enough to create original and impressive papers. It is essential to make ones that do not lead to the violation of human rights or pose a threat to the health and life of others. We adhere to all established social tenets and morals. Before offering a paper for sale, we make sure it doesn’t belong to the list of subjects where the misuse of provided content leads to a fake or unearned degree. How Affordable Is Our Help? If we were asked to answer in one word, it would be VERY. WriteMyEssays.com is not one of cheap services that offer anything but effective support. However, our prices are set to the industry’s average and depend on the academic level, required deadline and the number of pages. When additional features are assigned to the paper you buy, their price is also calculated and added to the total sum. There is another distinct feature that makes us differ from other companies: we offer discounts to all our returning clients. The rule sounds like: the more you spend, the higher the saving options are. How does it work in real life? Depending on the total sum of all previous orders (completed and approved), a client can enjoy 5%, 10% or 15% discounts. He/she saves 5% when the total sum is over $500, 10% - when it is above $1.000, and 15% - when it is more than $2.000. How close are you to discounts these days? Go to your Personal Order page and check the Discounts section. For more information, you can contact our Support Team and get all questions answered. Why is it so hard to start composing slides on your own? Most students agree that it’s not due to lack of knowledge, but rather because of lack of skills. They admit that professionally set papers are very helpful when they find it hard to choose what to start with or what info to include. 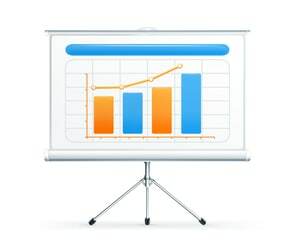 Luckily, freelancers are experienced in making various custom PowerPoint presentations. Today, the quality score is 8.5 out of 10 and that’s not the limit! Let us fix your errors and deliver the slides that will outshine others’!